One of the cameras and the chipset inside. 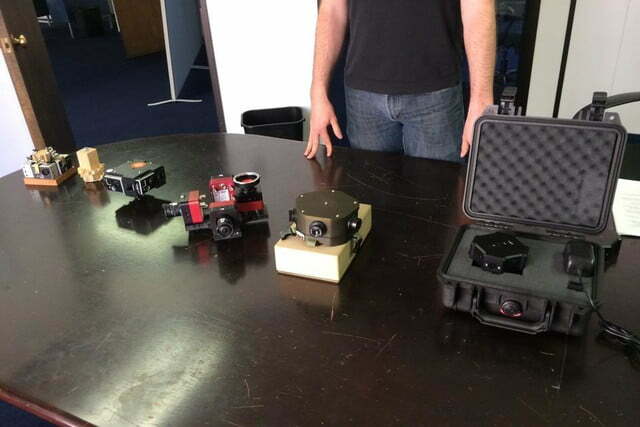 Prototypes that led to the Centr Camera. 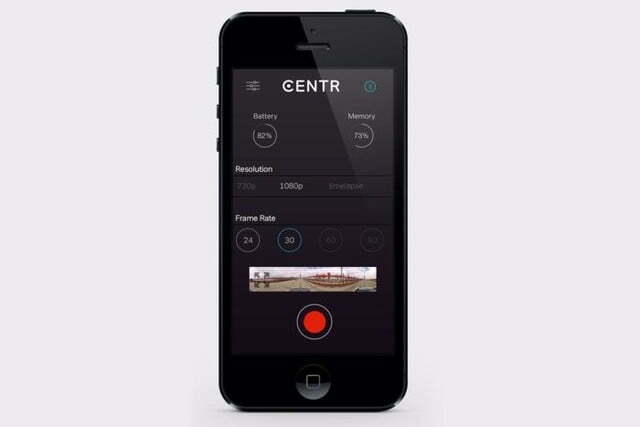 Controlling the Centr Camera from an iPhone. In the past year, we’ve seen several new products designed to help you easily capture 360-degree photos and videos. Now comes a new entrant, Centr Camera, but what makes this device unique, its creator says, is that it is a small “4K-resolution panoramic camera” that will give both professional videographers and video enthusiasts an entirely new outlook on the footage they capture. 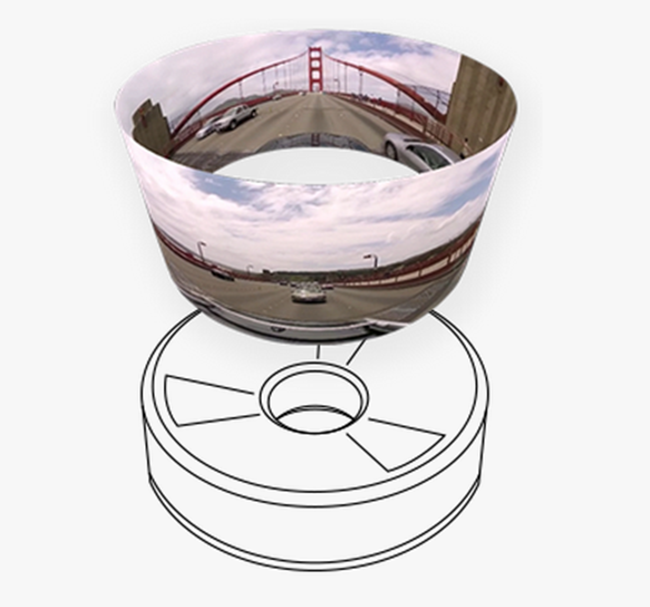 Created by San Francisco-based Centr Camera Inc. (formerly known as Stealth HD), Centr fits in the palm of your hand and shoots 360-degree videos at up to 60 frames per second, in real time. The camera was designed and created by a team of engineers, some of whom worked on camera technology at Apple. The company already has experience in developing panorama camera systems and software, providing them for organizations such as the U.S. military, National Geographic, and Red Bull. The 4K description isn’t exactly like that of dedicated 4K camcorders or television sets. According to Banta, Centr achieves 4K panoramic resolution by integrating four separate HD cameras, each with a 5-megapixel image sensor resolution and the capacity to shoot in high-quality 1080p. The camera’s four-element, plastic-in-glass f/2.0 lens has a horizontal and vertical angle of view totaling 110 and 100 degrees, respectively. The lens, created specifically for Centr by its team, is much narrower than most digital camera lenses, yet wider than the lens of a smartphone’s camera. 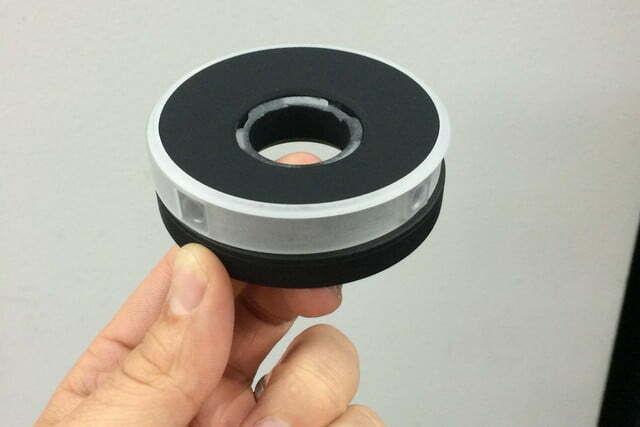 Shaped like a donut, a user can fit a thumb through the hole to firmly hold the camera without blocking the cameras. There’s a digital bubble level to ensure that your videos are properly aligned. Using its four cameras, Centr employs an innovative software that “stitches” video together to produce uninterrupted, full-view footage – in real-time. “We created an image-stitching software from scratch using an algorithm that takes 20 individual variables and compensates for the multiple images going into the camera,” Banta said. While shooting, the user has an individual camera selection option to choose when to stop shooting in panoramic angles. When not shooting videos, each camera can be individually selected to capture photos. With an 8GB internal flash memory that’s expandable using a MicroSD card, Centr also has a 20-megapixel time-lapse mode, and built-in Wi-Fi and Bluetooth wireless connectivity. The camera can be attached regular tripods or GoPro mounts, as well as quadcopter drones. 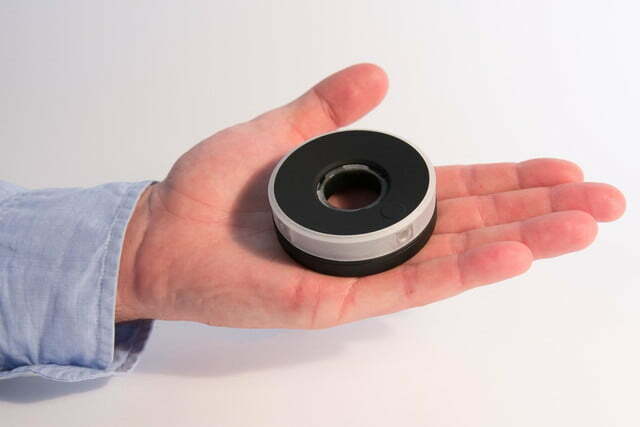 After years of development, the Centr team is now ready to manufacture the camera. Centr launched its Kickstarter campaign on April 30 and plans to raise at least $900,000 in one month. 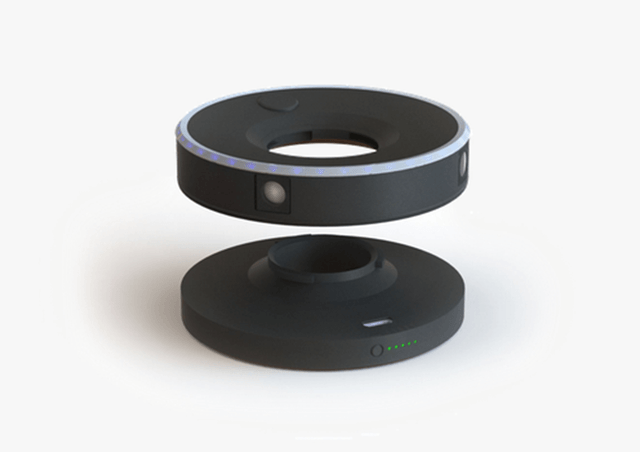 The Centr team chose to crowdfund their project on Kickstarter because they believe the idea of the first fully panoramic camera will appeal to a wide range of people online, and there would be a higher risk pitching the idea to private sector companies. To be one of the first to use one, you can pledge $299 at the Kickstarter page. 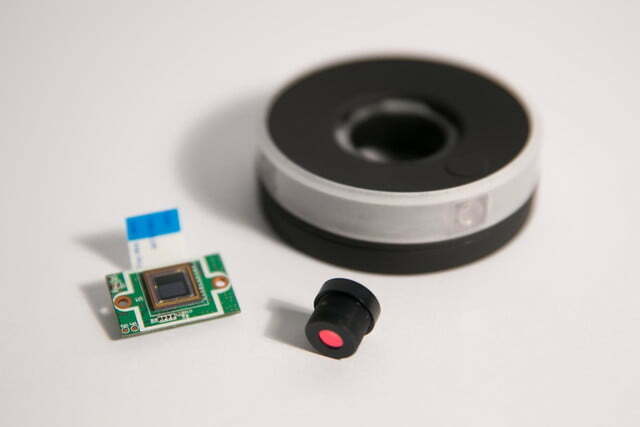 Learn more about the Centr Camera, its creators. and how you can support the company on their main website, and via the video below.